The Neutrogena® woman is naturally beautiful, optimistic and upbeat. These are the exact same qualities that the brand saw in Filipino-British blogger, model, surfer and tv host, Kim Jones. It was a perfect match which is why they chose her to be the newest face of Neutrogena. Being a long-time user of the brand, Kim couldn't be happier with the opportunity. According to her: “I tape long hours so you can imagine the touch-ups. It really takes a toll on my skin,” she said. 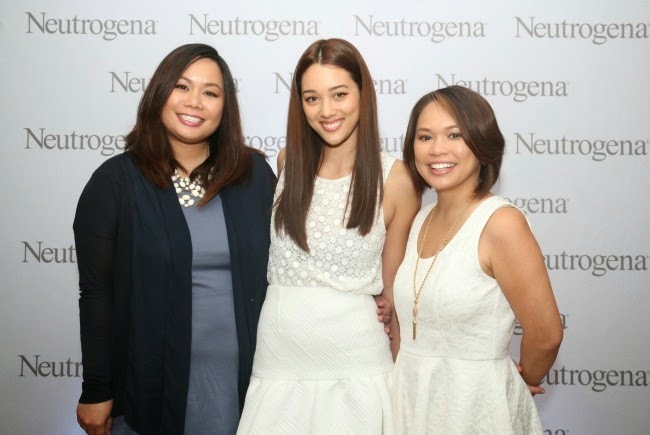 To keep her skin healthy, Jones shared that she uses Neutrogena® Deep Clean™ Cleanser to keep herself hydrated. On work-free days, the bubbly social media celebrity also likes to keep it relatively make-up free. “What I love about Neutrogena® is that it’s very simple, and it’s really beneficial for your skin. But it should be a complement to more important skincare habits like drinking a lot of water to stay hydrated,” she said. Sun protection is also essential to Jones, as she has been regularly spotted surfing with her fiancé, actor Jericho Rosales. As part of Neutrogena®’s campaign for beautifully healthy skin, Jones is featured in three online videos debunking common beauty myths. Visit http://www.youtube.com/user/NeutrogenaPH to view the videos.